or 6 interest free payments from $21.66 with LAYBUY - Whats this? SKU: 5722. Category: Women's Dresses. 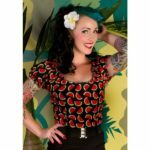 Yes this stunning dress comes complete with a Bolero! Step out in style in Hearts & Roses London’s Polka Dot Swing Dress with Bolero! 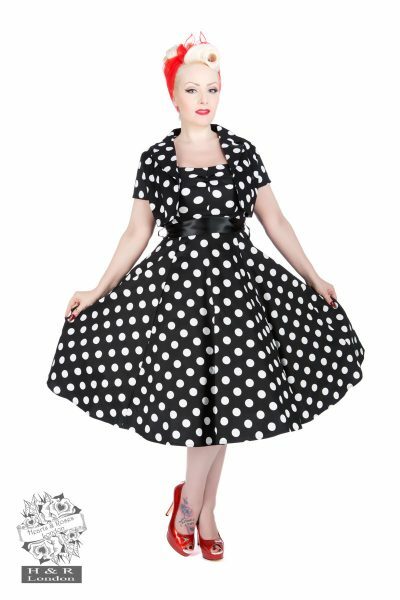 A styling pinup outfit, the Polka Dot Swing Dress with Bolero is a black cotton sundress with straps at the shoulders and an empire waist. 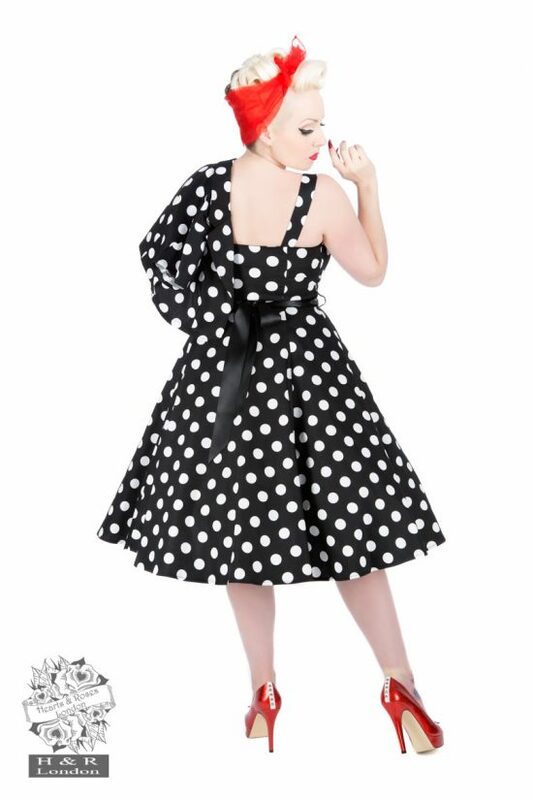 Dress goes in at the waist and has a full swing skirt and matching short-sleeved bolero jacket. 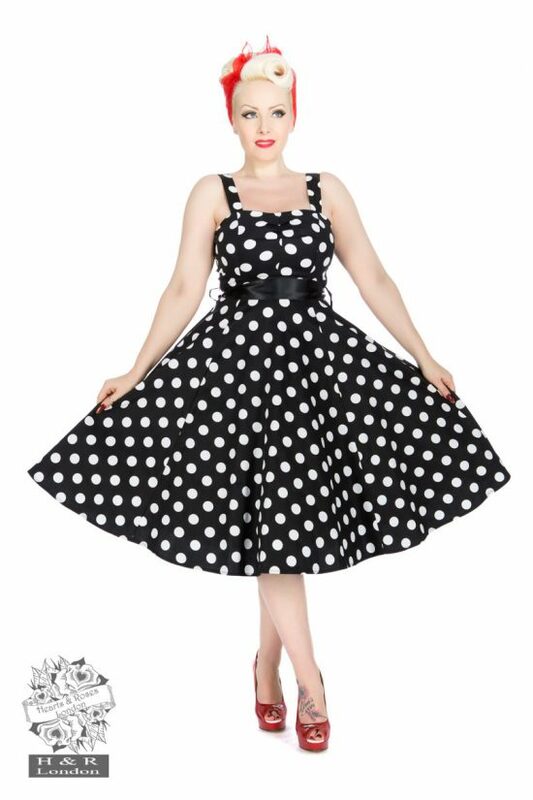 Bust line of dress has a bit of ruching for a flattering fit.